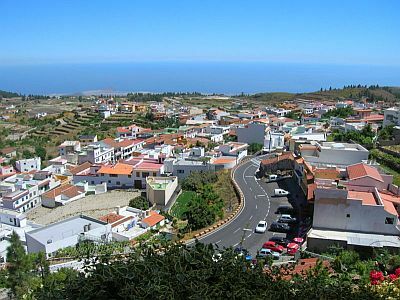 At 3,800 feet, Vilaflor is the highest village in Tenerife. 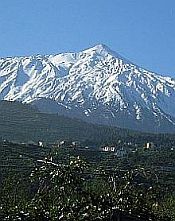 It nestles in the mountains just south of Teide and has in its vicinity a few lesser peaks, such as Las Lajas, Guajara and Los Retamares. Because of its altitude, it is blessed with the clearest, purest air, thus making it an ideal base for sporting activities, such as hiking or rock climbing. 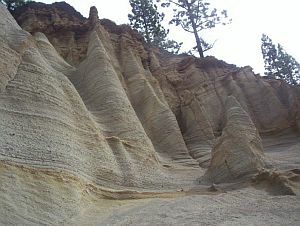 Surrounded by pine forests and the mountains, it boasts some breathtaking scenery. Nearby, you can also find the famous "Lunar Landscape", or Paisaje Lunar, which has a definite "other-worldly" atmosphere. 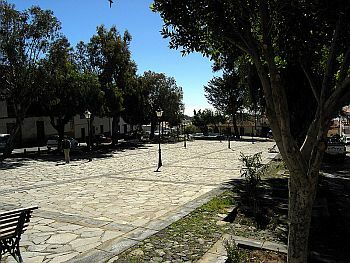 The town was originally founded in the 16th century by the Soler family and their house can still be seen, near its centre. In 1626, the man was born who would become San Pedro de San Jose and a church dedicated to him can also be found in this area. Another notable building to be found in the town is the summer residence of the Bishop of Tenerife, known as theCasa del Obispo. As well as the clean air, the town is blessed with pure mountain springs, such as Fuente Alta and Pinalito. Their waters are bottled and sold in Tenerife supermarkets - you've probably seen them! You can also visit the Center de Artesania, or Craftwork Centre, where you can see examples of local workmanship, in embroidery, ceramics and pottery. A generally quiet town, it has schools, churches and a few picturesque plazas.